Truro Properties does not share, sell or distribute in any manner email addresses or any other personal information that you provide us to third-parties, except when required by law, legal process or to protect the personal safety of our users or the general public. All bank account, electronic check, credit card and personal information provided to Truro Properties to process your payments for products and services will only be used to process the transactions you request. To reserve your booking of a vacation rental half of the rent along with the $50.00 nonrefundable booking fee must be received by Truro Properties within one week of booking. Reservations are subject to owner approval and signing of the lease by the owner. All leases have a $50.00 nonrefundable booking fee, which is an administrative charge for processing the booking. The final payment, cleaning fee and security deposit are due 60 days prior to arrival. Payment options include cash, personal check and money order. Truro Properties does not accept personal checks for any payments if your arrival date is within two weeks of your reservation. For reservations made within 60 days of your arrival, full payment of the rent, cleaning fee, security deposit and $50.00 booking fee is due within one week of booking. A Security Deposit is required for each rental property and the amount varies from $500.00 to $2,500.00. There is a $30.00 fee charged for each returned check. All cancellation of leases must be made in writing and submitted to Truro Properties. If you are unable to fulfill the terms of the Vacation Recreational Lease or will not be able to use the rental property on the dates of your reservation/lease; notify us in writing of the cancellation as soon as possible so that we can attempt to re-rent the property. Truro Properties will attempt to re-rent the property for you; however, we cannot guarantee that we will be successful in re-renting. If we are able to re-rent the property for you at the same price, you will receive a refund of the full amount of rent paid minus a cancellation fee equal to 15% of the total rental amount due under the Vacation Recreational Lease. In the event that we are unable to re-rent the property for you, any remaining rental payments on the Vacation Recreational Lease are still due and no refunds will be issued. We recommend trip cancellation insurance to prevent financial loss in the event of injury, sickness, death, hurricane evacuation or other unforeseen circumstances that are covered by the insurance policy. The Vacation Recreational Lease is a legally binding contract, and the terms of the contract set forth the rights and obligations of the Tenant, the Property Owner and Truro Properties as to a specific rental property for a specific period of time. All payment obligations, refund rights and obligations of the parties are specifically set forth in the lease. Check In time is 3:00 PM and Check Out time is 10:00 AM. Tenants pick up the keys to the rental property and directions/map to the rental at our office. All keys must be dropped off at our office on the day of departure at the time specified in the lease. There is a $25.00 charge for lost keys or keys not returned on the departure day in a timely manner. It is very important that you depart the rental on time and drop off the key at our office so that it will be ready for the next guest. There is no flexibility on check out time. The tenants’s legal rights to use the rental property ends at 10:00 AM and the tenant must vacate the yard, beach and driveway. An additional charged of $75.00 an hour will be subtracted from the security deposit for overstaying your departure time for each hour or fraction thereof after 10:15 AM. The rental property must be left clean as specified in the lease. If excess cleaning is required an additional cleaning fee will be subtracted from your security deposit. The Vacation Recreational Lease is a legally binding contract, and the terms of the contract set forth the rights and obligations of the Tenant, the Property Owner and Truro Properties. All of Truro Properties rentals have a standard professional cleaning included. Each rental property is cleaned by a professional between tenants to ensure that upon your arrival the property will be clean. Truro Properties has the rental property checked for cleanliness before your arrival and checked after your departure for noticeable damage or changes. Upon arrival Tenants need to contact Truro Properties immediately if the rental property is not clean or there is noticeable damage beyond normal wear and tear. All of Truro Properties rental properties are non-smoking. The Vacation Recreational Lease specifically states that smoking is not permitted inside. Our policy of NON-SMOKING inside the rental properties is strictly enforced and any violation by you, the occupants or your guests will result in the Tenant being charged an additional cleaning fee, ionization fee and liquidated damages as specified in the lease. THIS IS A VERY SERIOUS OFFENSE THAT IS STRICTLY ENFORCED. Our rental properties do not allow pets. Since the owners may still have had a cat or dog in residence at the property we can not guarantee an allergy-free property even when the property is designated as no pets allowed. Any undeclared pet found in or around a “no pet” home is grounds for immediate eviction and forfeiture of all payments made under the lease. The no pet policy is strictly enforced and any violation by you, the occupants or your guests will result in the Tenant being charged an additional cleaning fee and liquidated damages as specified in the lease. THIS IS A VERY SERIOUS OFFENSE THAT IS STRICTLY ENFORCED. 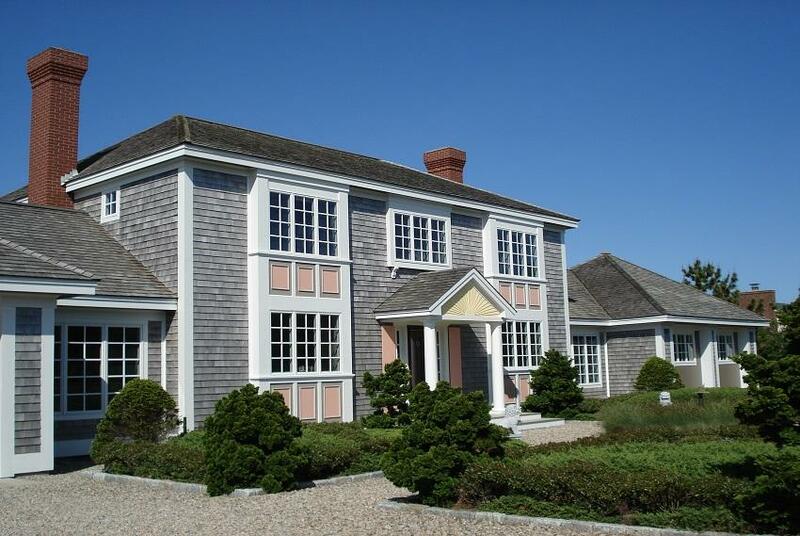 Truro Properties rental properties do not include linens or towels unless specified. The Tenant is responsible for bringing their own linens and towels or making arrangements with the owner or a local supplier. The Tenant is responsible for all paper products, including paper towels, toilet paper, tissues, hand soap, laundry soap and dishwashing soap.